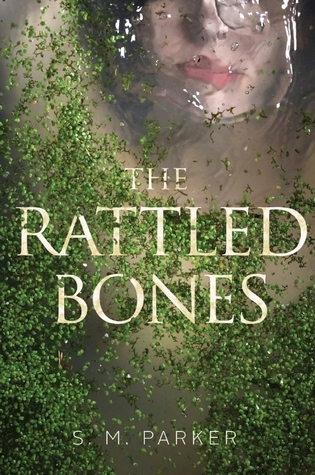 We're delighted to have S. M. Parker with us to chat about her latest novel, THE RATTLED BONES. Shannon, what was your inspiration for writing THE RATTLED BONES? I live by the rough coast of the Atlantic and it is an inspiring and often ominous place to reside. The ocean holds treasures and mysteries and secrets and power and I’ve always wanted to tell a story about the lurking deep, as well as the strong women and men who risk their lives to work the seas. A few years ago, I read a newspaper article about the history of Malaga Island—a small unassuming fishing village off the coast of Maine. The residents were poor and proud and made their meager living from the sea. In 1912, the families were forcibly evicted by Maine’s Governor and institutionalized for being culturally and racially “different” during a time when eugenics was driving scientific research and practices. I discovered that, even today, descendants of Malaga Island residents feel shame for their blood ties to the people of Malaga. It seemed heartbreaking to me, that the victims of cultural erasure should feel shame. Shouldn’t the shame reside with the men who stole humanity from other men (and their children and wives)? I was suddenly like the ghost in THE RATTLED BONES: I needed to tell this story. And brave Rilla Brae seemed like the perfect character to pull the past into the present. How long did you work on THE RATTLED BONES? After selling the book to Simon & Schuster based on the opening chapters, I went to a seaside cottage and wrote THE RATTLED BONES in three weeks. It seems ridiculous, I know. It was. I will fully admit that first draft was a terrible, awful, very bad first draft but it was a first draft. From there, I did two rounds of edits over the next nine or so months to firm up the characters and story threads. But initially, staring out at the unending, thundering ocean while imagining every creek in the old cottage sounded like a voice…well…it inspired me for sure! That I could write and sell a second book! HA! I laugh (now), but the sophomore novel is a very tricky thing for many writers and I was no exception. What do you hope readers will take away from THE RATTLED BONES? It may not seem so AHA! but, yeah. In writing my third book it sort of clicked for me that this was my job now. Wake up every day and go to the chair. Sit down. Write. Write terrible words or words that make you think HUH! this could be something. Whatever it is, just write. I need total silence when I write. No kids, no music, no laundry calling to me. I’m easily distracted so silence is my best friend when drafting. Find your writer person. A person you can trust with all things books and writer’s block and frustration. Hopefully this person will also like chocolate chip cookies if you like chocolate chip cookies. And hopefully this person can make you laugh so hard your face hurts. Read books (a lot of books) and discuss those books with your cookie-eating person and trust that person with your goals and fears. Invite hard criticisms. (Constructive hard criticisms) And when you find this writer person who has your whole heart and this love of cookies and a lust for laughter, you will feel safe enough—worthy enough—to risk putting words on the page. I’m a little superstitious (like THE RATTLED BONES heroine, Rilla Brae! ☺) so I don’t usually don’t talk about books in the works, though I can say it’s a novel! BUT, I do have a short story in the YA anthology, WELCOME HOME (releasing September 5th) called “Tunneling Through.” The anthology is on love and adoption, two inseparable topics that are very near and dear to my heart. Have you had a chance to read THE RATTLED BONES yet? Have you written a story inspired by a newspaper article? Have you found your cooking-eating writer person? Share your thoughts about the interview in the comments!